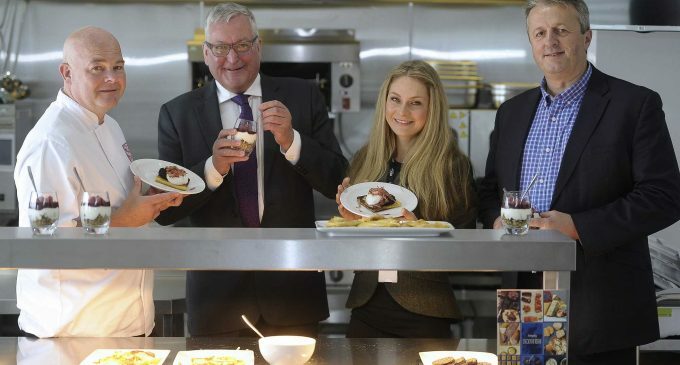 Bidfood Scotland has launched its brand-new, purpose-built hospitality hub in Larbert, which will serve as the first of its kind for the £14bn Scottish food and drink sector. Opened last month by Fergus Ewing MSP, the new facility works in partnership with suppliers as a dedicated centre for excellence, testing and developing new products as well as supporting menu development and innovation for some of its 5,000 customers across hotels, restaurants, cafes, care homes, healthcare and education in Scotland. The launch is part of the Scottish foodservice provider’s wider strategy to drive product innovation and growth for its suppliers, as well as seeking opportunities for its existing suppliers to gain national listings across the rest of the UK, where the company has a further 40,000 customers. The food-and-drink industry, along with farming and fishing, is among those most valuable to Scotland’s economy, and Bidfood works in close partnership with Scotland Food and Drink, VisitScotland and the Scottish Tourism Alliance, aiming to double the value of sector to £30bn by 2030. Katie Sillars, Business Development Manager for Bidfood Scotland said: ‘It’s been so exciting to finally open our doors to the hospitality hub and showcase what the site can offer. Comprising a bar, deli, industrial kitchen and non-food catering suite, the hub’s kitchen will be used to showcase products and keep customers up to date with the latest food trends, inspiring them with new innovative ideas and techniques.